A slow-build which thoughtfully explores love and relationships in a magical setting. Over two hundred years ago the Swan sisters were accused of witchcraft and killed. In the modern day the town of Sparrow has little going for it, until the start of Swan season when the locals brace themselves for the annual attempt by these spirits to get revenge against the town that killed them. Each year the spirits of the three wronged sisters take a life. Each year the tourists flock to Sparrow to witness these macabre events. Each year the locals brace themselves for the unease they feel necessary to atone for their ancestor’s past choices. This year is different. Penny Thompson is determined that things need to change. When mysterious Bo arrives in Sparrow she has a difficult decision to make…save him, or save herself. 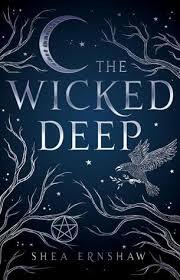 This was a magical read, and the interweaving of past and present kept me hooked in the events and keen to see how they would resolve themselves.